Jersey is ideal for a long weekend break away from it all. With many UK airports only an hour from the island, escaping to Jersey for a few days is a fantastic option that offers something for everyone. With a lot to pack into three days, the question is: what will you do with your time in Jersey? At only 9 by 5 miles, nothing is too far away to explore! Arrive on Friday morning, collect a hire car and head straight to the large sandy expanse of St Ouen’s Bay for breakfast at El Tico to fuel up ahead of your first day. This popular beachside café has some of the best views of the island’s west coast; grab a table on the terrace if you can! If the tide is low, make time to walk along the beach (you can walk along the sea wall and promenade if the tide is high). St Ouen’s Bay is part of the Jersey National Park, and it is easy to see why when you experience the raw natural beauty first hand. The bay is also one of the best places to surf in Europe; if you fancy trying your hand at catching a wave yourself, the local surf school is conveniently located just next door to café. Once you have returned to your car, head south to the famous Corbiere Lighthouse. If you haven’t already taken your camera out of your bag, now if the time to do so! At low tide you can walk across the slipway to get a closer look, however if you would like to go inside we highly recommend pre-booking a guided tour with local Blue Badge Guide Sue Hardy. 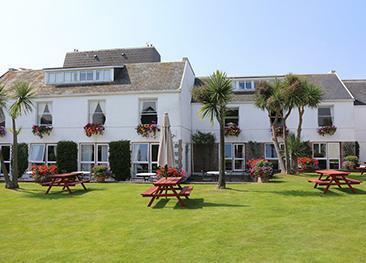 Head west to award winning St Brelade’s Bay on the south coast and enjoy a light bite on the terrace at the Crab Shack overlooking the beach. In the afternoon drive North to La Mare Wine Estate and while away a couple of hours with a tour of the vineyards and distillery. The Estate is set in a traditional 18th century farmhouse and produces local wines, ciders, spirits and sweet treats such as preserves, fudge, chocolate and the renowned Jersey black butter. If you are starting to feel peckish, indulge in a traditional Jersey cream tea in the Vineyard Bistro. After your busy day and if the sun is shining, relax in the evening with a casual Thai meal at the Dicq Shack. Located just east of St. Helier, the shack features a unique arrangement of picnic tables laid out on the slipway and, at low tide, on the sandy beach. This is the perfect relaxed setting to end your first day in Jersey and watch the sun go down whilst enjoying an authentic Thai meal. Ensure you take your own drinks (the Shack is not licensed) and arrive early as this little gem is very popular with both locals and visitors. Once you have had a refreshing night’s rest, drive or catch the bus to Jersey Zoo. This world famous conservation park is named after its founder, Gerald Durrell, and is dedicated to saving species from extinction through breeding, protection and education. You can see meerkats, silverback gorillas, reptiles and Andean bears, amongst many other amazing creatures. Take lunch in the Café Firefly at the entrance to the wildlife park or enjoy a pre-prepared picnic in the orchard or at one of the many picnic benches dotted around the park. Spend the afternoon strolling around Jersey’s capital, St Helier, where you will find an eclectic mix of architecture, shops and bars. Make time to visit the Jersey Museum and Art Gallery and the series of captivating and varied exhibitions including Bergerac's Island - Jersey in the 1980s. When you step back outside, cross the road to Liberation Square for a genuine Jersey ice cream and stroll around the marina. With two amazing Michelin starred restaurants to choose from, you’re never far from a gastronomic treat. In the centre of St Helier is the delectable Samphire Restaurant. Enjoy cocktails in the roof garden before settling down in the sophisticated but understated interior to indulge in a stunning menu of impeccably prepared local ingredients. Pack up your bags and drive to Mont Orgueil Castle, guarding the picturesque village of Gorey on Jersey’s east coast. Meander up the network of staircases and towers to the top where you will be met with tremendous views of the French coast and the southeast sweep of Jersey. Further up the east Coast in Rozel Harbour, you will find one of Jersey’s real hidden gems – the Hungry Man! Do not be fooled by the vision of this unassuming shack overlooking the small bay. They serve arguably the best crab sandwiches in the Channel Islands along with many other tempting snacks. From Rozel Bay the rugged north coast cliff path is easily accessible for walking off the indulgences of the past few days. Breathe in the scent of heather, gorse and wild flowers that cling to the steep slopes leading down to the sea and the small hidden coves. 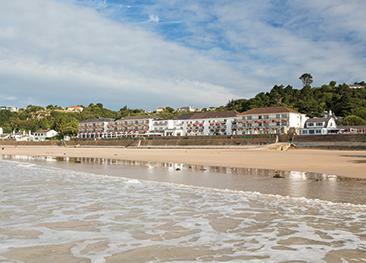 If time allows, make a final stop in the charming village of St. Aubin on the south coast. Pay a visit to the Harbour Gallery for some locally made gifts of jewellery, pottery, photography and cards. Have a final drink in the Old Court House at the top of the Bulwarks – you may recognise this iconic building as the Royal Barge in Bergerac! 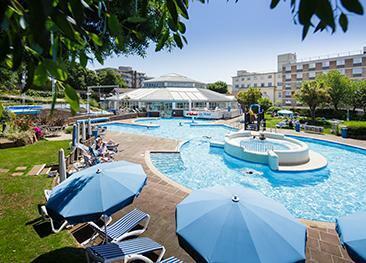 Arrive back at Jersey Airport ready for your short flight back to reality – whilst you are there make use of the free airport WiFi to start planning your next visit!